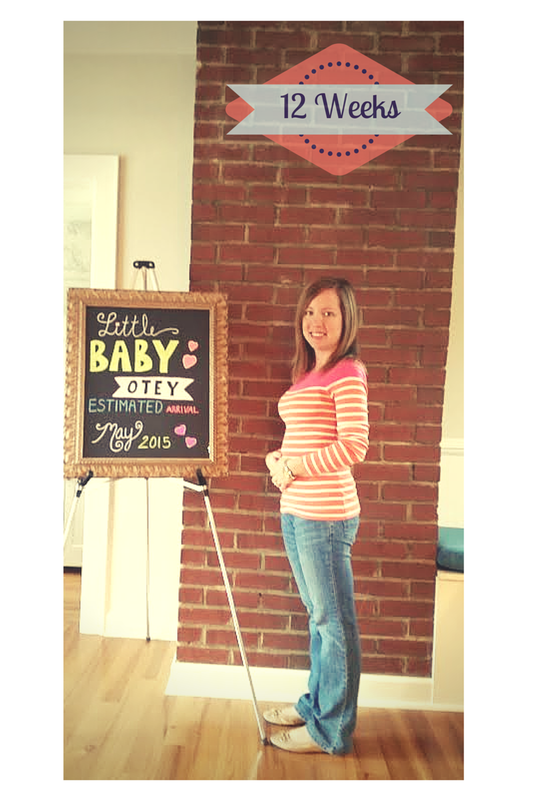 Jessi's Design: Big News in the Otey Household!! 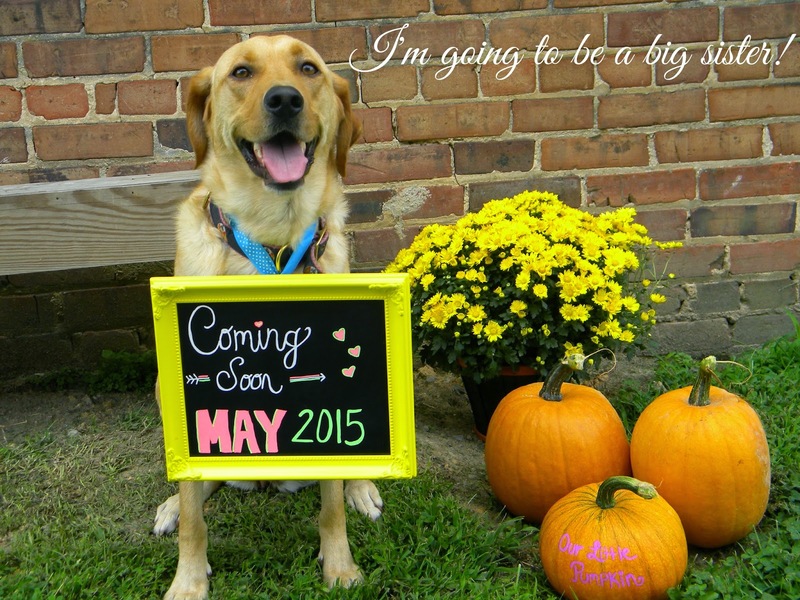 Baby O will make his or her debut on or around May 2nd 2015 ya'll! It all went down back in August...Friday, August 23rd to be exact. I was planning/helping out with a good friend's wedding and hubs was actually a groomsman in the wedding. That morning before work I decided to take a pregnancy test...just to make sure before I went to this wedding and started drinking the night away....sure enough, I was 100% pregnant! I took another....yup! I remember just crying with joy as I got into the shower, trying to be quiet so I wouldn't wake hubby. I know that sounds weird not to tell him right away but we were about to have such a busy weekend and practically be separated the entire time since he was a groomsman and I was the planner so I decided to KEEP IT A SECRET until Sunday when we got alone time together to relax. 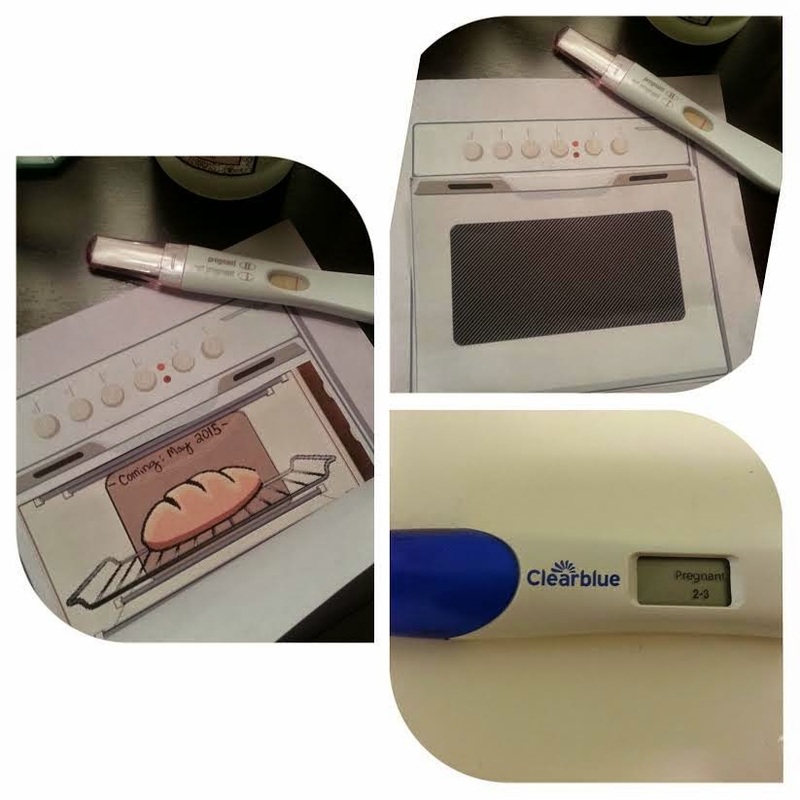 (sooo hard ya'll) Sunday rolled around and I made a little bun in the oven card and of course saved the peed on tests for his enjoyment (haha) he was over the moon thrilled and I'm pretty sure I saw a tear or two but don't tell him I told you! Seth received the temporary transfer to Ohio only a week or so later so we were forced to tell our parents a lot sooner than expected (I would've told mine anyway I'm sure of it) but he wanted to be around to tell his in person. 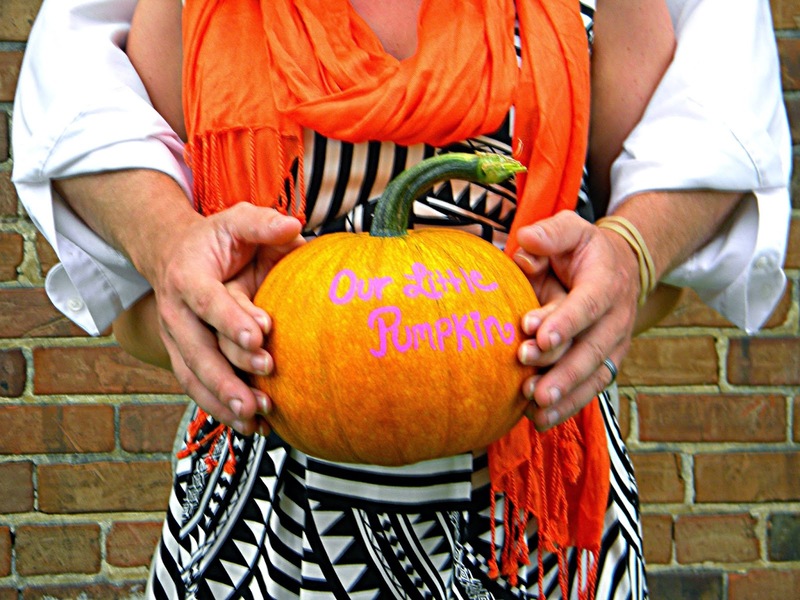 We also had to cautiously take these pumpkin announcement photos bc I knew when the time came he would already be gone... Needless to say our parents were absolutely over the moon! (We told his parents on his Dad's birthday with one of his presents being a "Grandpa Can Fix It" onesie! They had no idea!) It was terrible having to say goodbye to him but I figured it was definitely better to be gone the first three months and not the last! 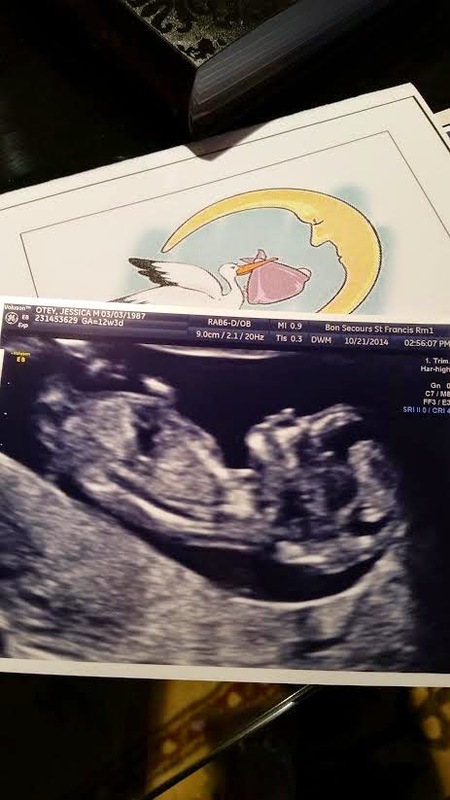 My parents have each come to the ultrasounds and appointments thus far and every time I hear that fast little heartbeat (coming in at about 160 beats per minute) my world stops (and I get in trouble for crying and making the screen jump!) We will be 13 weeks on Saturday and I am seriously the happiest person in the world. So blessed and so ready for this journey! Thank ya'll for always being there and thank you Lord! Maternity clothes? rocking the maternity skinny jeans from Gap/Old Navy so far and loving them! Sleep: Sleeping great, minus waking up to pee every night 5 times! Ugh..
Best moment this week: Finding out baby O is 100% healthy and an inch longer than expected this week! Food cravings: Fruits & sour gummies all-the-way! Anything making you queasy or sick: Nope- no sickness thus far actually! Gender prediction: Hubby thinks its a girl 100% and so does my sis. My parents are banking on boy! Looking forward to: Feeling more movement & finally being able to do some shopping! CONGRATULATIONS!!!! I'm SOOOOOO excited for you two!!! Yay! Can't wait for all of the picture and bump-dates to come! Congratulations!!!! The greatest blessing in the world!!! OH MY GOODNESS! SOOOOOOOOOOOOOOO exciting lady!!! Why did I have an inkling about this?!?! I'm so happy for you both! CONGRATS! Congrats!! I have loved being pregnant and sad it's soon coming to an end. Can't wait to follow along with your experience! OMG OMG OMG....soooooooo exciting! CONGRATULATIONS! This makes me so happy! I hope you're feeling well...and so excited to track this journey with you! YAY!!! SO excited for you and your hubby! :) That must be tough not having him there the first trimester but you're so lucky your parents have been able to join you at your appointments! I've been all about the gummies too... must be a common craving! So glad to hear baby O is healthy and happy! Yay yay yay so happy for you! Congrats! That is my exact due date! Can't wait to follow along on your journey to motherhood. Also, love your darker hair! You look so different! Congrats Lady! Excited to follow along your journey! YAAAAAAAAAAAAAAAAAAAAAAAAAAY!!!!!!!!!!! SO excited for you, pretty lady! YAY!! Glad it's out in the open! Love the pumpkin announcement too! So glad you've been feeling good. :) Congrats again! congrats! now get that baby room decorated!!!!! YAY YAY YAY! Love this! So awesome you've been feeling good. Look at that ultrasound picture, so sweet! I am over the moon for you guys :) I can not believe you were able to contain that news over the weekend, I would have exploded lol. Congratulations!!! That is soooo exciting! I would have been going crazy holding that news in! Oh, so many babies around the blogosphere!! Congrats to you, Seth and Emma! Yayyyyyyyyyyyyyyyyyyyyyyyyyyyyyyy! I am so over the moon excited for you! Welcome to the club, Mama! Congratulations!!! I'm so happy for you guys. AHHH stop it right now!!! Congratulations!!! So excited and happy for you and Seth :) YAY! So awesome! Congrats! LOVE the photos. SOOO excited for you two!! YAYAYAYAAY!!! Congratulations! I'm so excited for you guys! Can't wait to follow along :) By the way, there must be something in the "blogland" water because you are like the 5th or 6th blog I follow to announce a pregnancy in the past week and the second one today! OMG Congrats! I'm so excited for you two and can't wait to follow along in your journey. woohoo congrats! love the announcement, so cute! So exciting!!!!! Congratulations that is wonderful news!!!!! Oh my goodness, congrats! So so excited for you & your husband! Congratulations!!! How you managed to keep that secret from your husband til Sunday is beyond me, I feel like I'm the worst at secrets. This is so exciting! Congratulations! 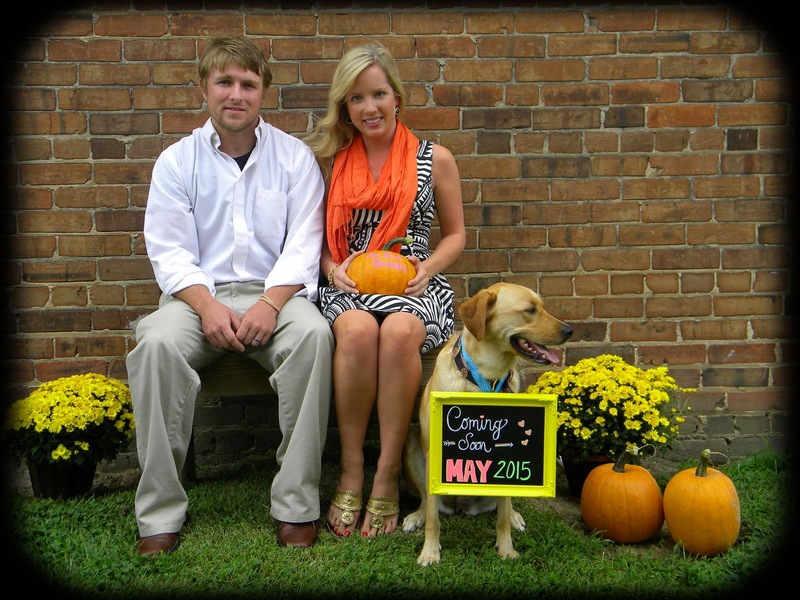 You're both going to be amazing parents! ahhhhh! Congrats lady!! So excited for you and your family! JESSI!!!!!!!!!!!!!!!!!!!!! Oh my gosh I am so excited for you and your hubby!!!!!!!! I am over the moon excited for y'all! Well I am already praying for your little baby. So excited to hear about your pregnancy journey!!!! Love you friend!!! OH CONGRATS!!! HOW FABULOUS!!!! You look amazingly adorable and I love the chalkboard!!! Omgsh!! Yay!! Congratulations! Can't wait to read all of your pregnancy updates. (It's been a long time, I need to catch up on your home updates too) I can't believe you held in the news that long!! I am so happy you are feeling well. You are a cute little pregnant lady! Ahhh!! So, so exciting!!! Congratulations!!! I don't know how I missed this blog post in my feed but, I'm sure glad I'm at least finding it now! I'm so happy to hear that you haven't been sick so far - you probably won't be! I haven't been at all & it has been SUCH a blessing!! Cannot wait to hear more!! Congratulations again!! Congrats girl! So so exciting! I hope you continue to have smooth sailing for the rest of your pregnancy! Excited to hear what you'll be having! Man, I go out of town for one week and all the good stuff happens in blogland! Congratulations! I'm so excited for you and can't wait to follow along! catching up on your posts! What a sweet stroy and such a precious time. Congratualtions!!! What an excinting journey you are beginning!